Get Started with Coupons 1-2-3! Are you brand new to using coupons? Welcome to a terrific way to save money for you and your family! Let’s talk about some basics to help you be successful with your couponing efforts. Many turn to couponing as a way to stretch their family’s food budget just a bit further. To do well with couponing you need to be well organized and plan your grocery shopping in advance. For some people, getting used to these 2 habits can be a bit frustrating, especially if you’ve always done the shopping on-the-go whenever you please. Take the time to look at your schedule and see when you can plan your grocery shopping list and when you can then plan your trip to the store. When you start to see those totals lower at the cash register, we know you’ll be very pleased! Where can you find coupons? This is a question that many who start couponing ask. They are eager to get started. But even before you look for coupons, we recommend you sit down and make a detailed list of the items that you shop for. If you have a preferred brand name for some items then be sure to note that. For some items you may not mind trying another brand. Once you have your grocery list, you are ready to look for coupons. Coupons can be found today most often online. You’ll find the best variety of coupons at coupon websites. 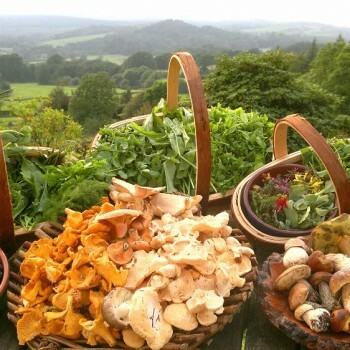 It is easy to print them out and they are ready for you to use for your grocery store trip. But there are also plenty of coupons in your local Sunday’s edition of the newspaper, pick up a copy at the newsstand or get a weekend subscription. This is a great way to get coupons as well. Manufacturer’s Coupon – this is a coupon you see that comes straight from the manufacturer of the product. Store Coupon – this is a coupon that is offered from the store, typically in the weekly store circular. 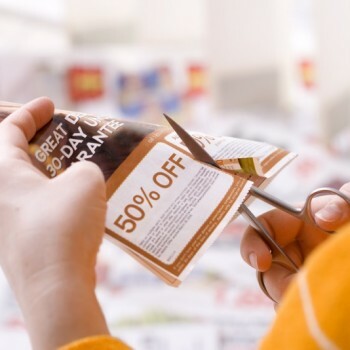 Stacking Coupons – this phrase is used when you are permitted to use both the manufacturer’s coupon and the store coupon, to get the best discount while shopping. Not every store will permit you to do this. Double Coupons – some stores will have certain days, weeks or simply a policy where they double the amount your coupon is worth and this is what you save on your purchase. It is very helpful to know if you are shopping at a store that permits you to do this. Internet Coupon – this is a coupon you print out from the internet, usually from a coupon website. Most often there is a limit to how many coupons you will be able to print. Couponing can save your family money each and every time you go to the grocery store. 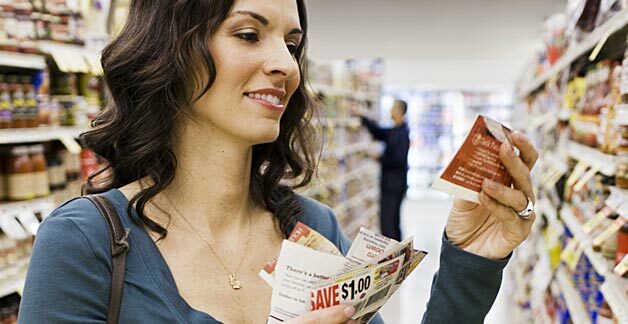 Remember this simple tip: by preparing your grocery trip and organizing your coupons ahead of time, you know that you will put cash back in your pocket! Can You Really Get Free Food by Using Coupons?